I am deeply motivated by learning, which has been my motivation and drive toward visiting new places and meeting new people. Each place I visit is an opportunity to become more educated on the places unknown, unseen and with people I haven’t met. Although some know my travels as tackling this endless bucket list of places I want to see… it is as equally rewarding to try new things in the places I visit. Life. An opportunity to know everything we want to know. For me, learning comes in forms of understanding and hearing new perspectives, and viewing the world from a new vantage point. Each place I visit is a piece that lives and continues on in the blogs I post, pictures I take, videos I create, but most importantly the memories I keep with me. This brings me back to the beautiful state of Hawaii. And, let’s marinate in that thought… Hawaii is a state? Hawaii, located in the middle of Pacific was closer to New Zealand, Australia and Asian islands than my home state of Michigan. Yet, it is a part of the U S of A. What a thought! Before this visit, when I had thought of Hawaii I pictured luscious, greener palm trees, white sand beaches, deep blue oceans, sweet songs of birds, etc. But little did I know that the memory that would live on would be seeing Hawaii underwater, from a submarine that is! Imagine, cradling back and forth in the Pacific Ocean in a tank, small face sized windows, hard McDonald-style seating, shoulder to shoulder with strangers and no seatbelt. Then, the captain of the ship telling you that it is about that time to descend in the depths of the Pacific Ocean. You take one last peak at the shore line that is about 2 miles away and begin to question if this quest is for you. 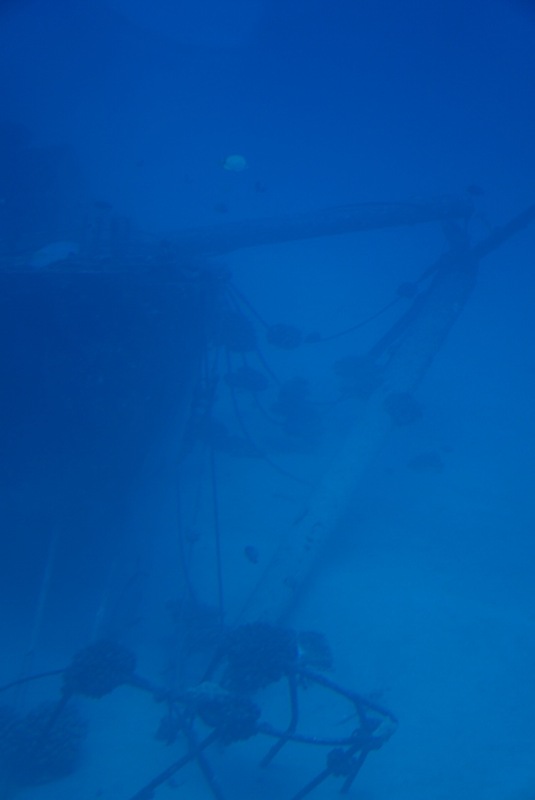 As you descend downward your ears pop and you see the meter to the left of the captain increase in 5 feet every 15 or so seconds, indicating how far below surface you are submerged. Anxiety releases when you see the first fish. Meek water, dull colors, and just silver fish. 50 feet under… you notice that the ocean floor is a ways down, but in view, you see more fish swimming. Why here? 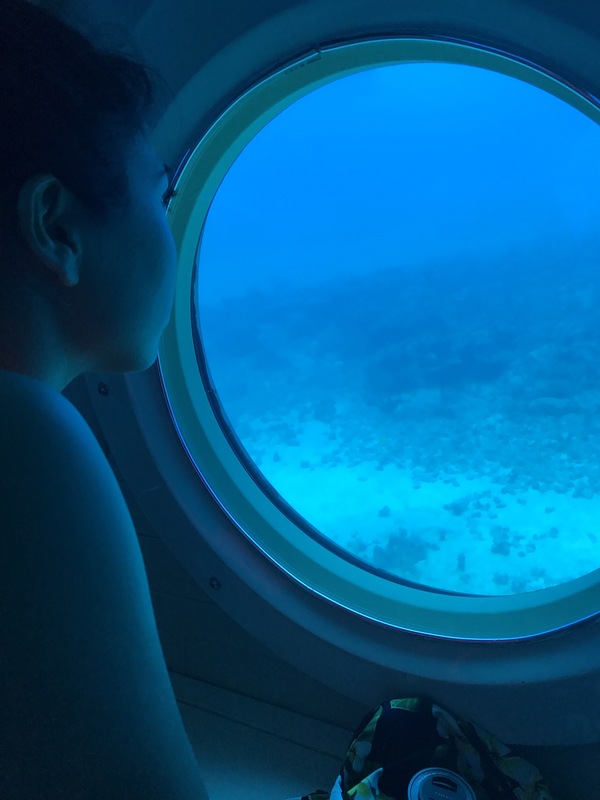 60 feet under… you grab the one you are closest to and start to appreciate a world you never knew. You swam in it, but this is new life, a different life. 80 feet… coral. No, the coral is not the color of that you see on Finding Nemo, instead it is gray and white, impacted by the pollution we humans have done. Light bulb, you are important, but is nature too is and we need to respect it. 100 feet… ocean floor. Quiet, no one talks. A calming sense of appreciation, success of reaching the bottom, you look out. And, to your surprise you near a ship wreck. We did that… but there’s hope. Many fish have claimed this ship as home, coral has grown, fish are playing. To the fish the best home is the mess we humans left behind… ironic right? We all have our preconceived notions of what it is we see, or I should say… what we choose to see. But we should spend the time to frequently reflect on seeing things from a new perspective. In positioning ourselves with a new point of view we can truly appreciate our world and all walks of life (standing, or swimming), and more importantly, learn. In learning we can become more than what we are, and help more than we think.